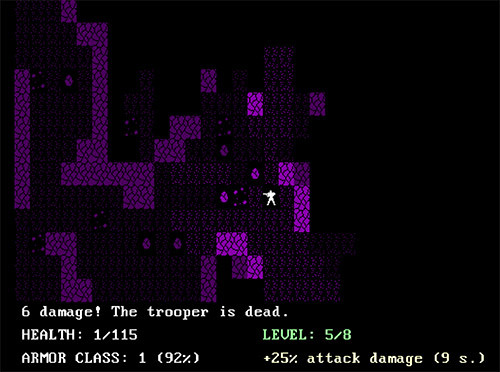 1001 Rogues is a browser-playable game inspired by the classic 1980 dungeon-crawling video game, Rogue only it features a new story every day. There's a twitter bot that tweets a summary of the day's new story when it's generated each day at about 2pm UTC. "I've been working on this project for some time and although it still needs some polishing and balancing, it's already playable and I'd be glad to get some feedback and suggestion from you guys.